A highlight of the Hunter Collection, this long, low and luxe modern lounge brings so much style to a seating area, bedroom or landing. 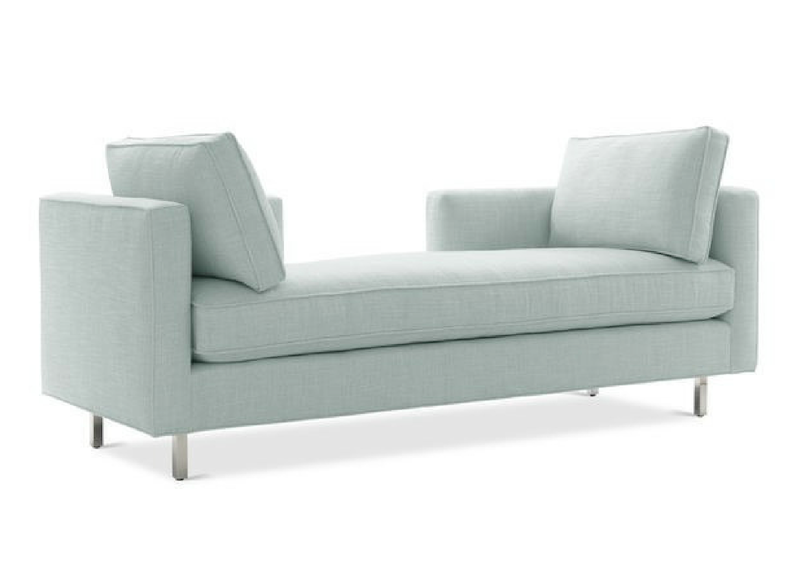 At 78″ wide, it’s good for curling up on, or, with the divided back, as comfortable seating for two. A sumptuous bench cushion and plush side pillows enhance seating pleasure. Pictured with square polished stainless steel legs; also available with square brass legs or round wood legs. Featured in fabric. Can also be ordered upholstered in leather or slipcovered in fabric.